Nojiko is the adoptive older sister of Nami (the two are not biologically related but were raised together by Bellemere). 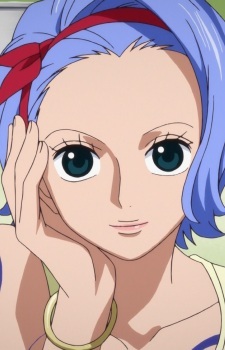 She plays a major part in the Arlong arc as she reveals Nami's past to the Straw Hats and helps rescue Luffy with the help of Genzo after Luffy is thrown into the ocean by Arlong with his feet stuck in a block of cement. Her right arm is covered in tattoos, which she got to help Nami not to feel ashamed of her tattoo of Arlong's pirate logo. After trying to stop Nami from attacking Captain Nezumi, a Naval officer who tries to take the money Nami raised for her deal with Arlong, Nojiko was shot by him in the back. However, she survived. In the manga, she gave her bracelet to Nami. She appears later again, and is glad that Nami looks happy in her wanted poster.